The notices demonstrate that, though slavery inflicted lasting damage on black families by ruthlessly dividing them, it could not erase the love and loyalty that family members felt for one another — even after decades of separation. The notices make clear that, through all of slavery’s horrors, many bondsmen and -women found reasons and ways to maintain their sense of familyhood, and acted upon it when freedom finally arrived. Heartbreaking Text, on So Many levels.I hope some were found. Tragic stories behind each letter. I suppose there is no way of finding out what happened to these people. 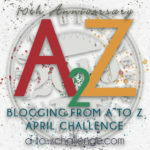 Maybe I will look at some of the ads and see if I can find the records and see what I can find out next year for the A to Z Challenge. There are lots of these online. Such a moving post. The illustration speaks volumes about the horrors of slavery, but also about the tenacity of African American families in the quest to be reunited. 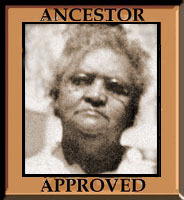 That stays with me, after 100s of years of slavery, people were still connected with their missing family members so much that they continued to look for each other for decades. I do too. I don’t know how likely that was so many years later, but I have heard amazing stories about relatives running into each other decades later. I find this so upsetting and really hope there were lots of families reunited. That would have been wonderful. These stories of individuals and their families that you have been posting are so interesting, but so very sad sometimes. 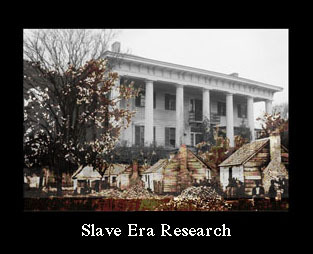 Slavery and it’s aftermath are so vile and shameful. I wish more people in this world could truly see that, and stop with the hate. Such chilling words: was sold to, belonged to, my master. Missing family members are still part of the family. The ads bring home the heartbreak of the era and the ruthlessness of the slavery trade. There are always stories of family separations but for these to happen through the wilful actions of owners who were buying and selling people is so sad. The ages of the children involved is shocking too. You read of it but these personal advertisements bring it home. Oh my. I have a Lewis Davis of Virginia in my database but he was pre-Revolutionary War, so not the same guy. Still, it gave me a start just reading that letter.